You deserve to be rewarded for your ongoing play, and you will be at these leading internet poker sites. Earn up to 27% cashback though VIP. VIP integrated with poker, casino, and sports. Access to rewards store with tons of products. Can also receive up to $600 free on deposit. 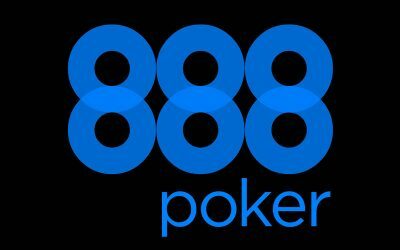 At 888, poker players automatically participate in their VIP program just by playing real money games. In all, there are 10 levels players can achieve. Earn your way up their levels by playing more and earning more points. The players at the highest levels can earn up to 27% rakeback equivalent, which is above average compared to other sites. If you aren’t interested in just rakeback or bonuses, there is also a full rewards store with electronics, poker gear, games, gifts, and more. The items can be purchased via 888 reward points that are accumulated. The PokerStars VIP Program is often regarded as the best such scheme on offer by any poker site. Players earn VIP Player Points (VPPs) for their play at the tables and progress through the ranks from BronzeStar all the way up to Supernova Elite as they earn more VPPs. Each level of the VIP program offers a different number of Frequent Player Points (FPPs) per VPP earned. These FPPs can then be used in the VIP store to purchase cash bonuses, tournament tickets and a wide assortment of merchandise. Another aspect of the PokerStars VIP Program is Stellar Rewards, which are fixed cash payments that players receive when they surpass a certain numbers of VPPs in a year. There are also regular freerolls to reward those loyal players who have achieved certain VIP statuses at PokerStars. Online poker rooms always have to compete with each other to attract players and one way to do this is by creating competitive loyalty programs, also known as VIP programs. These programs exist in the vast majority of industries, but what makes online poker different is the percentage of rewards players actually get back for their business. You will rarely see any business give back more than 10% of what you pay them as part of their loyalty programs, but online poker offers players a lot more. In fact, the best VIP programs offer well over 50% returns, better known as rakeback in the online poker industry. This guide will explain everything you need to know about VIP programs. To provide examples of VIP program features and benefits, we’ll be using PokerStars’ VIP program almost exclusively, since it has been the best VIP program out there for many years now. Most rooms split their loyalty programs into VIP levels. Naturally, the biggest rewards come with the highest VIP levels, which are also the hardest to reach. In general, VIP Levels expire every month or every year and need to be earned again after expiration. Let’s take PokerStars’ VIP program and look more closely at the differences between the VIP Levels. Their loyalty program is split into 7 VIP levels. The first level (Bronze) is awarded automatically to all players and comes with prefixed rewards, though they are the smallest available. This is typical throughout the industry, as most poker rooms will offer similar prefixed rewards for all new players. The highest rakeback equivalent you can expect from the lowest VIP Levels is no more than 10%. The general layout of PokerStars’ monthly VIP Levels applies to most of other online poker rooms, even though most rooms will not offer such high rakeback percentages on their monthly VIP Levels. In any other typical online poker room you can expect to get ~15% rakeback from the highest monthly VIP Level. Then there are yearly VIP Levels. They are yearly for a reason, since only a very limited number of people manage to reach them, even in a year. When it comes to PokerStars, Supernova is the first of two yearly VIP Levels and depending on how much you play, you can get anything from 28% to ~50% rakeback. SuperNova Elite is the second one and is generally regarded as the most coveted VIP Level in all of online poker, offering up to 70% rakeback. Few rooms will offer anything close to these rakeback percentages. For example, If we take the second biggest online poker room – 888 Poker, their highest yearly VIP Level offers up to 36% rakeback. Those rooms that will offer rakeback percentages comparable to PokerStars have a big disadvantage, which directly effects those numbers – they don’t have anywhere near the amount of traffic as PokerStars does, so actually reaching those VIP Levels is much harder. The basis of climbing any VIP ladder is earning Loyalty Point. The formulas, which are used to calculate points earning rates, differ from room to room. Points can be earned in a few different ways, though the most commonly used system is when points are split into two parts. The first type of points usually have a fixed earning rate in relation to the rake paid. These points are used exclusively to determine your VIP Level. The second type of points can be traded in for rewards, cash, etc. These points are usually earned based on a multiplier depending on your VIP Level. For example, if your VIP status at PokerStars is Supernova, then your points multiplier is x3.5, meaning that for every point you earn based on the rake you paid, you receive 3.5 points that you can actually spend on rewards. The highest points multiplier doesn’t necessarily mean the best value. Again, it all depends on the formula, which the specific room uses to calculate points earning rates. For example, the highest multiplier on PokerStars is x5 for the Supernova Elite VIP Level and it is worth more than the x18 multiplier of the VIP Diamond Level at 888 Poker in terms of actual value. Most online rooms offer exclusive tournaments for different VIP levels. These usually come in the form of freerolls, though that’s not always the case. Lower level VIP tournament usually include freerolls with small prizepools and large player fields. For example, PokerStars has three types of notable freerolls for lower level VIP’s. All players with a level of ChromeStar+ get access to the weekly $5,000 Guaranteed freeroll. Since this is a very accessible freeroll, you can expect player fields in the range of 20,000+ players. Nevertheless, this is still one of the best freerolls out there for low level VIP’s. Most rooms offer similar freerolls and while the player fields are much smaller, you can expect the prize pool to be a few hundred dollars at best. If you go a bit higher on PokerStars, you will find a $30,000 Guaranteed weekly tournament for SilverStar+. Despite there being only a single VIP level of difference, this tournament attracts nearly 3 times less players, which makes for significant prizes at the top of the payout list. Again, you will not find an equivalent to this freeroll in any other room, as most similar freerolls will feature prize pool of a few thousand dollars. The best example of a higher VIP Level tournament is the Pokerstars Quarterly freeroll for Supernova+ VIP’s, which features a $1,000,000 prizepool with at least $100,000 going to the winner. Even if you don’t directly qualify for high level VIP tournaments or freerolls, a lot of the time satellites will be available for VIPs one or two levels lower so it’s also possible to get into those tournaments that way. So, as you can see, VIP tournaments and freerolls can be quite valuable and provide a significant bankroll boost. Various rooms have different leaderboards for all the games out there. Even though these leaderboard mostly don’t have any direct link to a room’s VIP program, sometimes that can be the case. For example, Full Tilt Poker has permanently running leaderboards for all the games available on Full Tilt Poker. Their Edge VIP program features 17 leaderboards with $1,000 + Edge level ups given away every month. However, Black Card Level VIPs get their own leaderboard, where Black Card Pro sponsorship contracts are offered to the highest ranked player on each Black Card Leaderboard at the end of every four-month period. Most poker rooms feature VIP Stores that offer players all kinds of rewards, including cash and merchandise. Most VIP Stores categorize their items based on VIP Level, so even if you have enough points to purchase an item, you still need a high enough VIP Level. The best choice is usually to go for the cash rewards, since most merchandise bough in these stores will likely cost more in terms of your points spent on it. However, you can find some things that you probably won’t be able to buy anywhere else. You can also get great things like gift certificates or buy tickets to major live tournaments. The pinnacle of the VIP stores is on offer in the PokerStars store to this day – a Porsche Cayman. One thing you should definitely buy at these stores are security tokens, which offer additional protection to your account. VIP Events are usually something that online poker rooms reserve for the highest-level VIP’s. A lot of the time, these events are not even advertised and offered in private. However, this is also not always the case, as sometimes poker rooms throw parties for larger numbers of VIPs. The most well-known VIP event is actually open to anyone who wishes to attend and is hosted by PokerStars. It is known as VIP Club Live and is basically a collection of parties taking place every few months in different parts of the world. While anyone can attend, you still need a ticket, which can be bought in the PokerStars VIP Store. Naturally, the lowest level VIPs get charged the most for the ticket, an equivalent of ~$160 in points, while the highest level VIPs can get it free.